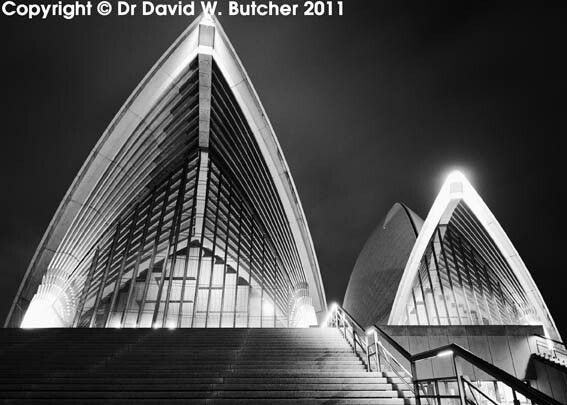 The first set of Sydney images have been added to my web site Recent Gallery pages as well as Cities Gallery. 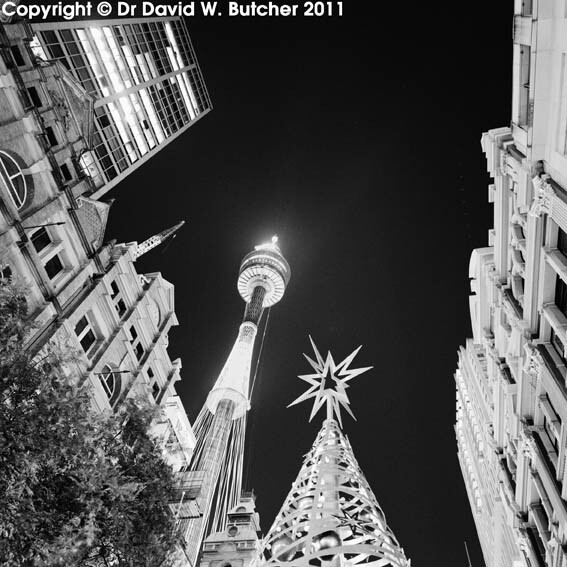 Click the header to go to Recent Gallery and click here for the permanent link to Sydney images. 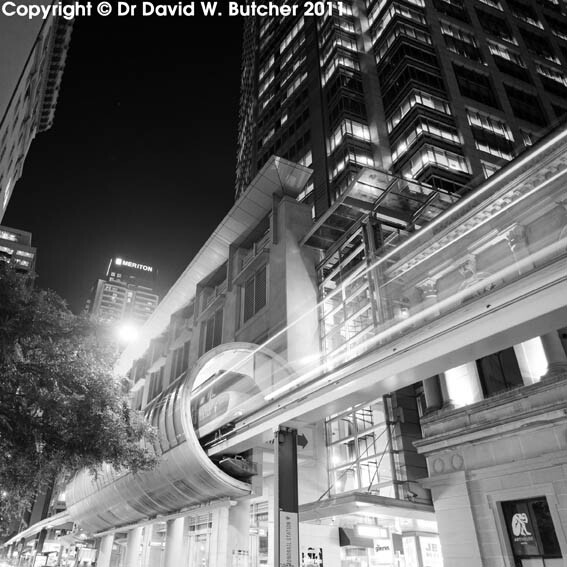 The Monorail on Pitt Street. A double exposure. I exposed the stationary train for 10 seconds and then exposed it for another 10 seconds as it left the station. Fortunately, my Mamiya 7 cameras allow for multiple exposures to be made on one frame of film. 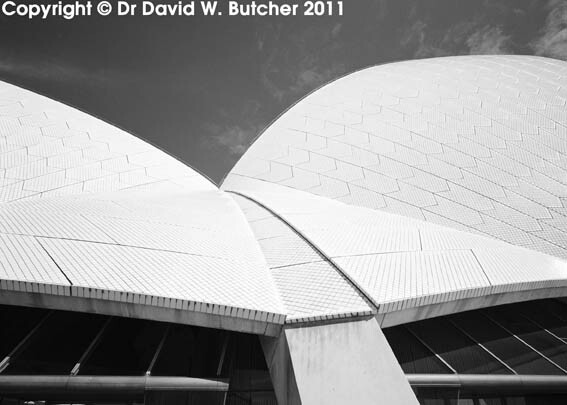 Sydney Opera House roof tiles.